Little Ghyll Cottage is a semi-detached cottage in Ings near Windermere in the Lake District National Park. The property has two bedrooms, a double with a king-sized bed and a triple housing three singles, and the occupants share a family bathroom, this cottage can sleep five people in three bedrooms. 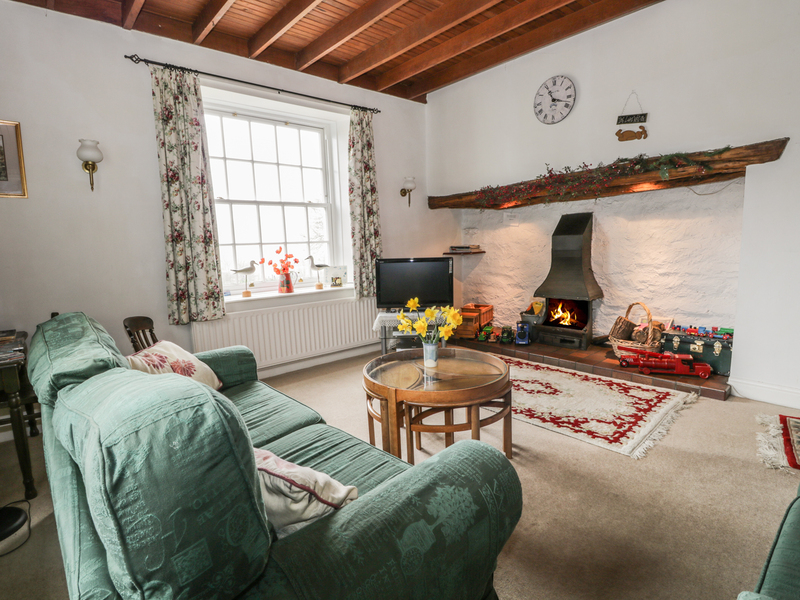 On the ground floor is a kitchen with range oven, a dining area, a sitting room with an open fire in its inglenook fireplace, and further seating in the south-facing conservatory. 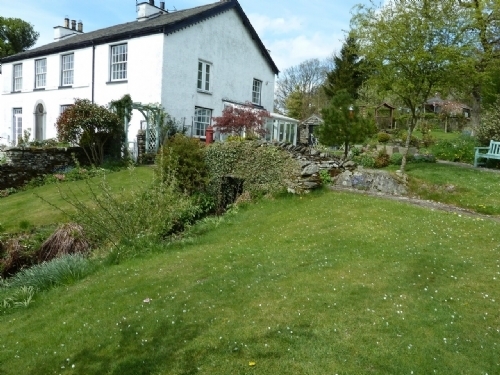 Little Ghyll Cottage is a perfect small family Lake District holiday near Windermere. Oil central heating and open fire. Rayburn range oven and electric cooker, microwave, fridge/freezer, washing machine and tumble dryer, WiFi, selection of books, toys, games and videos. Bed linen. in rent. Cot and highchair available. Driveway parking for two small cars. Large enclosed garden with patio furniture, stream and children?s tree house. Note: stream is not enclosed from garden so caution required with young children. Two well-behaved dogs welcome for additional fee - only friendly dogs welcome as owner has two small friendly dogs of her own. Sorry, no smoking. Pub 5 mins walk. Please note: Towels are not provided. We also have details of 77 other similar properties nearby which might suit you.